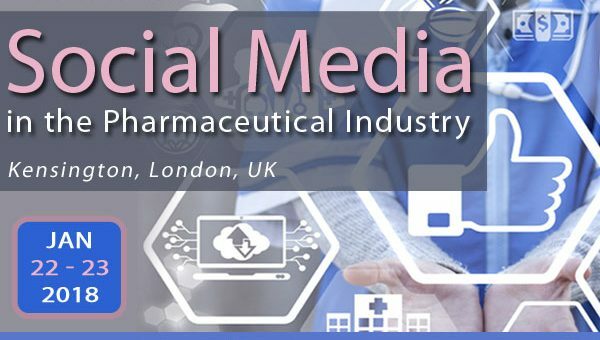 SMi Group are delighted to present the return of their 10th Annual Social Media in the Pharmaceutical Industry conference to London on the 23rd – 24th January 2018. Join SMi’s 10th Annual Social Media in the Pharmaceutical Industry Conference to learn the best way your company can benefit from social media, hear from industry experts on how to leverage social media platforms to develop a robust digital strategy. Gathering industry leaders to discuss the latest challenges and techniques in the field of ‘social pharma’. Hear how Janssen create powerful pharmaceutical social media strategies enabling patient engagement. Learn how to build integrated, impactful social media strategies with Pfizer. Examine how Bristol Myers-Squibb create an excellent digital strategy whilst engaging patients.